Our Business Ethics Competency Framework is aimed at identifying ethical behavioural competencies and developing ethical business practice among those in Leadership Roles. This framework contains 38 business ethics competencies grouped into seven sets. All essential competencies relating to ethical leadership behaviour, and governance essential for reducing the risk and reputation impact of unethical behaviours. Of course most competency frameworks are specific to an organisation, if you want to develop an organisation specific framework you will find our Designing and Implementing a Competency Framework training course ideally meets your needs. Our Business Ethics Competency Framework has been developed to help you to identify ethical behavioural competencies and develop ethical business practices among those in Leadership Roles. 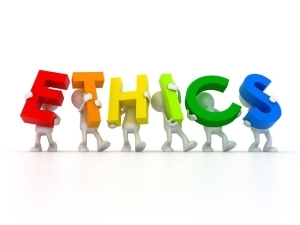 This framework contains 38 business ethics competencies grouped into seven sets. All essential competencies relating to ethical leadership behaviour and governance essential for reducing the risk and reputation impact of unethical behaviours. Of course it is preferable that your business ethics competency framework is specific to your organisation, it’s sector and it’s values, if you want to develop an organisation specific framework you will find our Designing and Implementing a Competency Framework training course ideally meets your needs.